Allen Sayler is the Senior Director for Food Consulting Services at EAS. Mr. Sayler had been an independent consultant for EAS since 2012 and promoted in 2017. 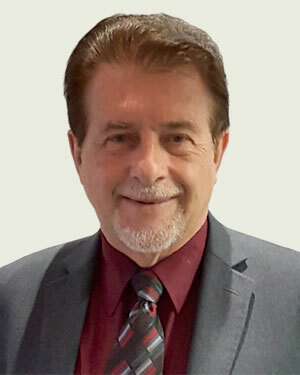 His expertise in the areas of food processing, particularly in the area of dairy processing, infant formula, bakery products, food additives, botanical products and food packaging as well as GSFI Third-Party Certification programs such as Safe Quality Foods (SQF) has been of great value to EAS clients. Allen has spent more than 30 years as a food processing and regulatory expert, with half of the time serving the industry and the other have as a state and federal government employee. For twelve of those years, he served as vice president of regulatory affairs and international standards at the International Dairy Foods Association. Prior to that, his government career included working on dairy standards and grading programs at the Dairy Division of USDA’s Agricultural Marketing Service, FDA’s Milk Safety Branch – including a stint as acting chief of the branch and ten years as Assistant Dairy Commissioner for the North Dakota Department of Agriculture. Prior to joining EAS full time, he was a Managing Partner of the Center for Food Safety & Regulatory Solutions. His international experience includes representing the US food processing industry at the Codex Committees on Food Additives, Food Labeling, Food Hygiene and Milk & Milk Products.